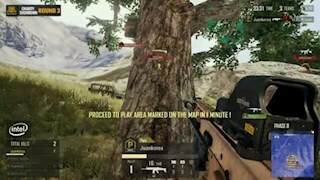 Discover epic PUBG plays hand-picked in YouTube and Twitch videos PUBG is among the most popular Battle Royalle games, it's enforcing tactical gameplay that yields some epic close quarters team plays, amazing long-range sniper shots and other huge plays. On this page, you can find the top Battlegrounds plays which are updated on a regular basis. 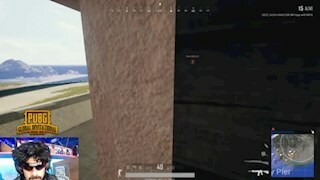 Shroud eliminating a hacker in a flying car in PUBG. This video clip was captured on July 21st, 2018. 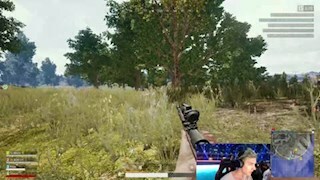 As you can see in this video, there is a car flying ..
Shroud playing PUBG showing amazing situational awareness and super fast reaction time. This is a skill of an experienced ex-professional Counter Strike GO (I.. 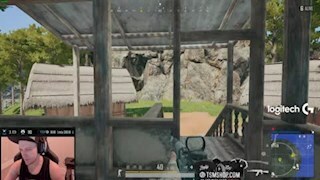 When you have a high ground in PUBG, with a small circle closing in, always try to maintain a high ground as long as possible In this Twitch clip from TSM_Viss,..
A hilarious moment where Gen.G Gold Chelator sneaking inside the circle from the outskirts like a snake with Welcome To South Georgo (WTSG) plays Larsen is..
Crest Gaming Xanadu's (Japan) PureBoy from secured an amazing first kill in PUBG's PGI 2018 FPP with super accurate tags using the Mini 14 designated marksman..
EscA from Gen.G Gold ambushes OMG, waits for them to group up to capitalize on that surprise attack and eliminate as many players as possible but eventually.. In PUBG cars play a significant role. You use them to quickly rotate to the next circle but also get some sneaky roadkills with it if possible. I remember..
That happened PGI 2018. 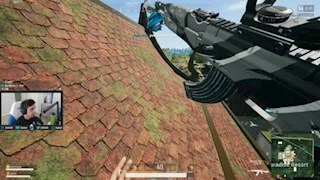 Shroud threw a grenade on top of a roof where two players where at, one was knocked down. That nade lands perfectly where the two are..
Ninja and his team had a great positioning in Round 4 of PGI 2018 Charity Showdown. They have positioned in a bunker three players, having an option to pass.. This is Ninja and his team's first win in PUBG PGI 2018 Charity Showdown community event in Berlin, Germany. That was such an intense match and round 3 of.. 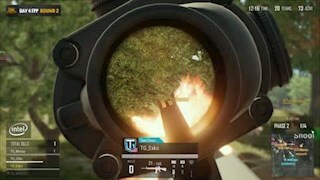 In this clip, we can see Ninja killing his teammate (teamkill) with a grenade by mistake. He was supposed to throw a smoke grenade but an explosive grenade was .. In this clip from PGI 2018 Charity Showdown, we can see Dr Disrespect with Balloc from Ghost Gaming. They are in the house and two of the opponent teams around .. This clip was taken at PUBG Global Invitational 2018 Charity Showdown event. Shroud here was after reviving one of his of his teammates in a smoke and then.. 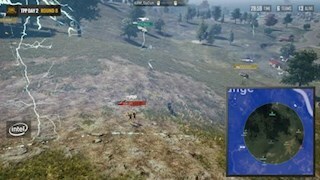 In this clip from PGI 2018 TPP, we can see Esca from Gen.G Gold EscA securing two kills for his team by ambushing to players of 4AM in the outskirts. 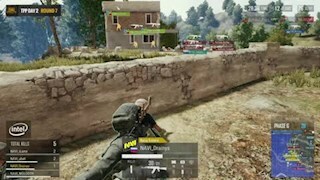 He..
Natus Vincere (Navi) amazing quick elimination of Oyun Hizmetleri (OHN) in a 3vs3 mid-range combat in Match 7 of PUBG Global Invitational (PGI) 2018 Day 2..
Amazing 1-vs-1 end gameplay at Rond 6 of TPP Day 2 of PUBG Global Invitational (PGI) 2018 tournament in Berlin, Germany. In that play 'Welcome to South.. 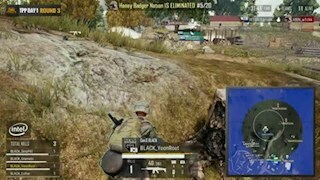 This smoke grenade play was taken in PGI 2018 TPP Day 2 Round 6. This was such an amazing survival play. In this play, Team Liquid's ibiza, the last player of.. 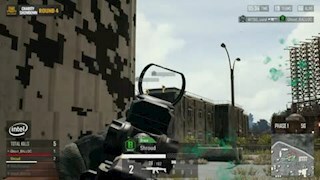 I was watching PUBG Global Invitational (PGI) 2018 Day 2 TPP. I was surprised to see how many players are using the cars in PUBG. It looks like Car Royale to be..
PUBG TPP (Third-person perspective) yields some really funny moments sometimes. 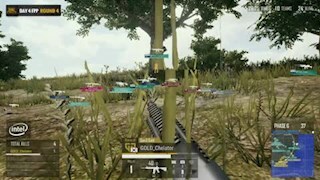 In this clip taken at PUBG Global Invitational (PGI) 2018 event in a TPP Round 4..
A fantastic sneak attack by two PUBG players from Gen.G BLACK, SexyPIG, and YoonRoot who make a quick sneak attack and eliminate the two remaining players of..
PlayerUnknown's Battlegrounds (PUBG) is an online multiplayer battle royale game developed and published by PUBG Corporation. There was initially released on March 23, 2017, and quickly became one of the most popular PC games. It later brought to the Xbox One video game console and sold over 5 million copies. 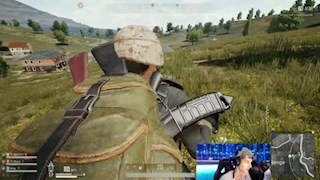 PUBG is also among the 10 best-selling PC games of all time and a popular Twitch game favorite by many streamers, including the popular streamer known for its nickname, Dr. Disrespect. 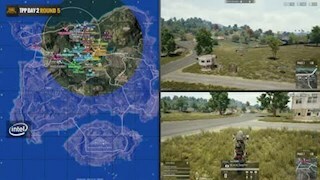 PUBG was later released for mobile (iOS and Android) as well and became one of the most popular mobile games in their respective app stores. Unlike Fortnite, PUBG takes on a more realistic approach to Battle Royale. 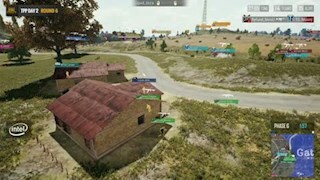 In PUBG 100 players fight against each other on a remote 8x8 km island for the last man standing. The game boasts realistic weapons and a battle taking place in different diverse maps. 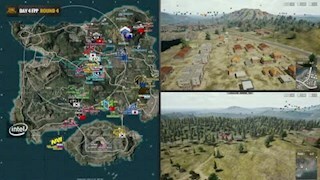 Similar to other Battle Royale games, in PUBG players need to roam the island, locate and scavenge weapons, vehicles and supplied that will help them survive longer during the battle. 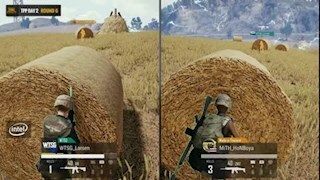 Similar to Fortnite, PUBG was also developed using Unreal Engine 4 that boasts beautiful and rich details and realistic visuals. 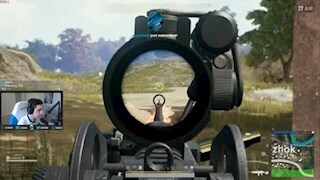 Having the option to travel through the map using vehicles is also something that made Playerunknown's Battlegrounds (PUBG) stand out from some of the other games in its genre. Players can play solo or team up with other friends in a group to find for dominance and hopefully get to be the first ones standing. 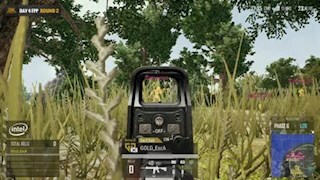 PUBG relies heavily on tactical gameplay that enforces the use of the landscape and buildings to pull off strategic plays and surprise your opponents and gain an advantage in the Battlefield. Players can complete daily and weekly missions to earn points to increase their rank and obtain loot crates. PUBG was inspired by ARMA and H1Z1 and it definitely set a landmark in the Battle Royale genre, and although it inspired other developers to come up with their own clones, its still, as for the time of writing, remains one of the most popular game in its genre. 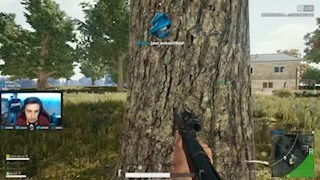 In this page, BR fans, gamers, and streamers can watch, share, vote and discuss short clips of the best PUBG plays. 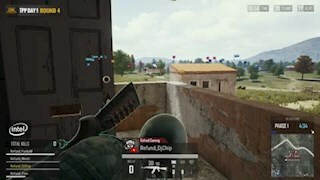 Battle Royale Plays gives you the opportunity to discover new amazing PUBG plays updated on a daily basis by our website visitors. We can't wait to see what amazing plays players are pulling off in PUBG and you can see it all here on Battle Royale Plays.